Syracuse.com’s Mike Waters calls in to discuss the upcoming 2017-18 basketball season with Wes Cheng on The Juice on the Cuse Podcast hosted by SNY.tv. 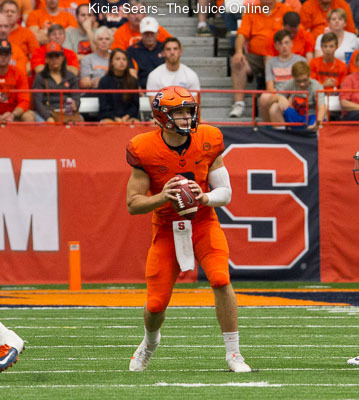 The Juice Online Senior Columnist Jim Stechschulte then calls in to discuss Syracuse’s improbable win over Clemson. Wes Cheng: Is this Syracuse team an NCAA team, or are we in for another NIT season? Mike Waters: I think they will be a bubble team. I think they could get into the NCAA Tournament even though I don’t think they’re as good as they were last year. Last year’s team got off to such a horrendous start and they really squandered every potential opportunity they had in non-conference. If this team could just beat Connecticut and Georgetown, two wins away from the Dome, and beat Maryland. 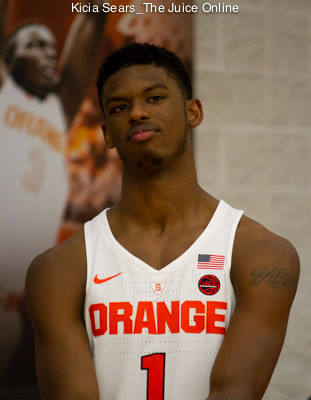 […] If Syracuse can just handle its business and not lose their way through the non-conference schedule, I see a path to an NCAA Tournament bid, but it’s going to be tough, and there’s not a lot of margin for error. 2. How are the centers coming along? 4. Tyus Battle eyeing NBA Draft? 8. Can SU make a bowl game? 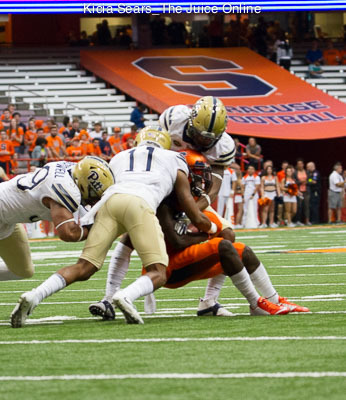 What Are Syracuse’s Chances Of Making a Bowl Game?